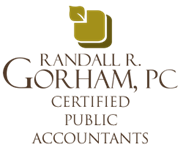 Randy R. Gorham, CPA PC has been committed to providing quality tax, accounting, and consulting services to East Texas since 1986. We endeavor to provide our clients with the very best professional services possible. Our website was designed to enhance those services by providing online answers to many of your everyday financial dealings and frequently asked questions. Our firm was founded with the goal of assisting our clients in every aspect of their financial lives. We work closely with each client to help them achieve their goals. Whether your business is large or small, we realize that it’s YOUR business, and it deserves our utmost attention and care. Our goal is to provide our clients with personal, professional service in the areas of accounting, tax, and consulting. Our philosophy is to emphasize personal service and we are committed to the success of each client while continuously working to develop long-term relationships with them. We take a personal interest in each of our clients, and we truly love what we do. We want to see you succeed! Give us a call or e-mail us. We look forward to hearing from you!